Contempt Of Court Attorney | Snellville | Harold D. Holcombe P.C. A contempt action is most commonly brought by an ex-partner who is not receiving the full amount of child support ordered by the trial court. Contempt of Court is found when the court ordered a specific action to be taken, and someone failed to do as the court ordered. 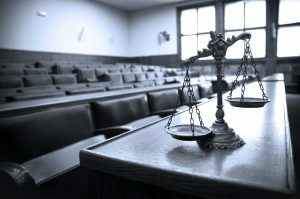 Generally, the contempt must be willful and wanton in order for the Petitioner to prevail and receive attorney’s fees. But, in most of the cases, if the payor didn’t pay, the court will find that it was willful. Contempt is very serious. First, the person who didn’t follow the order can be subject to court sanctions, including incarceration. And there’s no time limit specified, so that person could be in jail for years. Secondly, the person who is found in contempt, if it is willful, is made to pay a portion or all of the other party’s attorney’s fees. So, take it seriously. Hiring an attorney after you have been found guilty of contempt cannot undo what has already been done. Instead, take action as soon as you are accused, and your attorney can do their best to fight for your rights. Being accused of contempt can be a frightening experience. Harold D. Holcombe P.C. can offer you sound and solid legal counsel to help preserve your rights. Contact our Snellville office today at (678) 344-0116 to speak to a first-rate Gwinnett County family law attorney who will fight aggressively on your behalf.